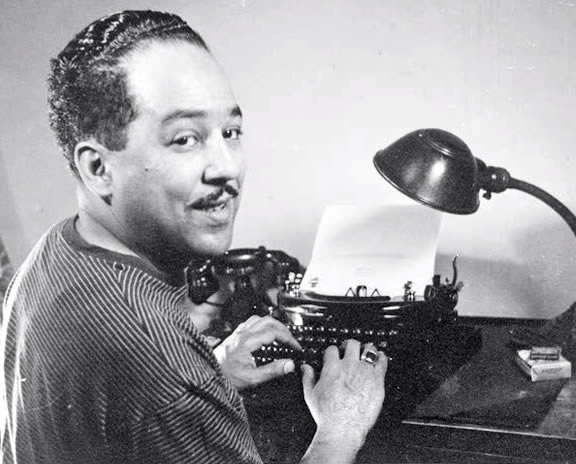 Langston Hughes’s poem Harlem complies with Cleanth Brooks’s assessment of modern poetic technique as “full commitment to metaphor.” The poem consists of six cogent metaphors steeped together to create an elixir incomparable to the flavor of any one of these images standing alone. A raisin, an oozing sore, rancid meat, a sugary crust, a sagging load and an explosion are, by themselves, images which either assault or delight the senses. Hughes’s alchemy blends the first four contradictory metaphors, then offers a lull in the image of a sagging load before suggesting the possibility of an explosion. The tension, or “pressure of context,” resulting from the incongruity of the metaphors in Harlem is resolved through the prospect of obliteration (explosion) of the entire batch of metaphors. This final loud, bright, apocalyptic eruption, so inconsistent with the lazy, passive images which precede it, relieves tension by hinting at annihilation. The liquid quality of the poem’s first four metaphors reveal the fluid quality of human emotions. They also contain three food images and two carnal references, suggesting that the fulfillment of our dreams is a need just as basic and primal as the appetite for food. This entry was posted on April 27, 2012 at 9:24 pm and is filed under Morsel, Poetry. You can follow any responses to this entry through the RSS 2.0 feed. You can leave a response, or trackback from your own site.